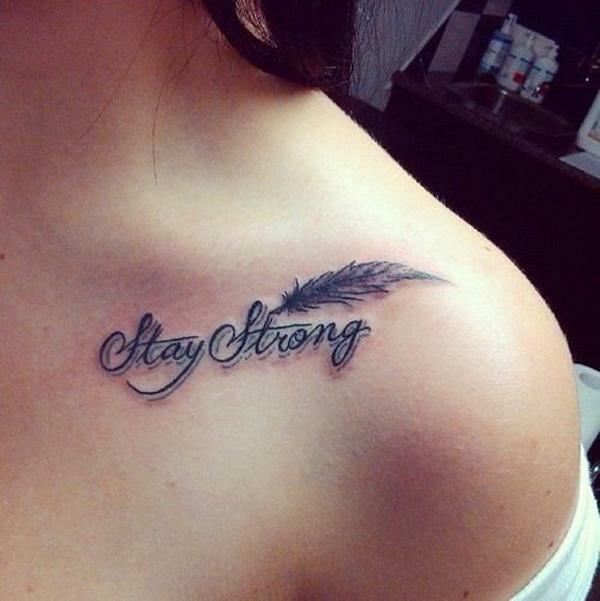 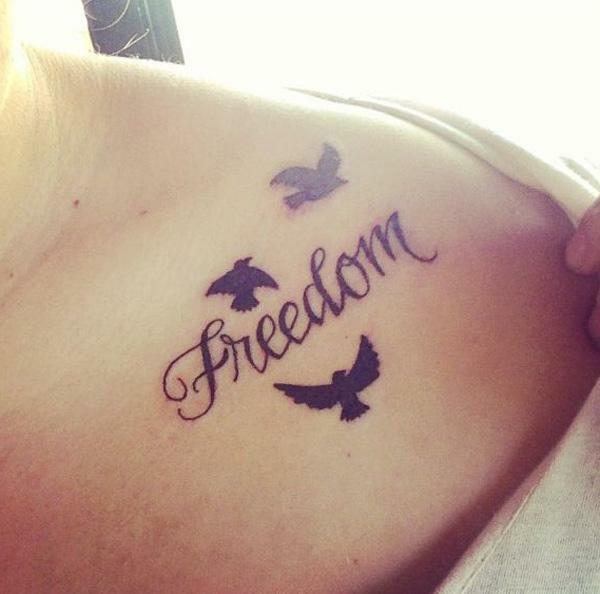 The tattoo with the script “Stay Strong” and feather is the best one to be inked in collarbone area. 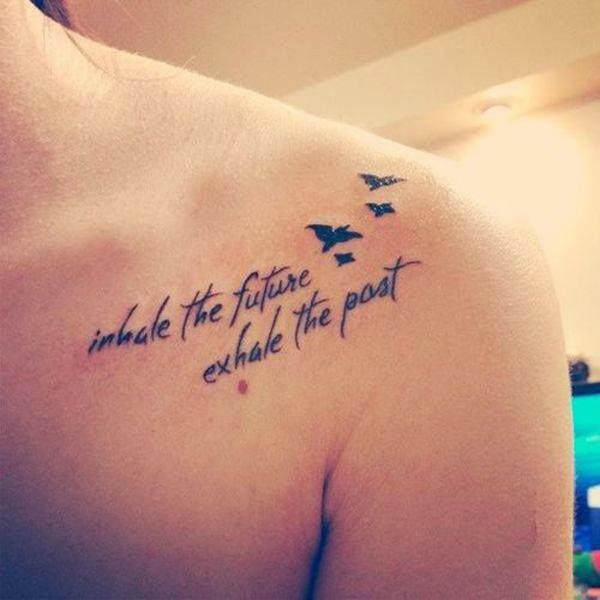 It’s the testing and declaration to confront any difficulties in the life ahead. 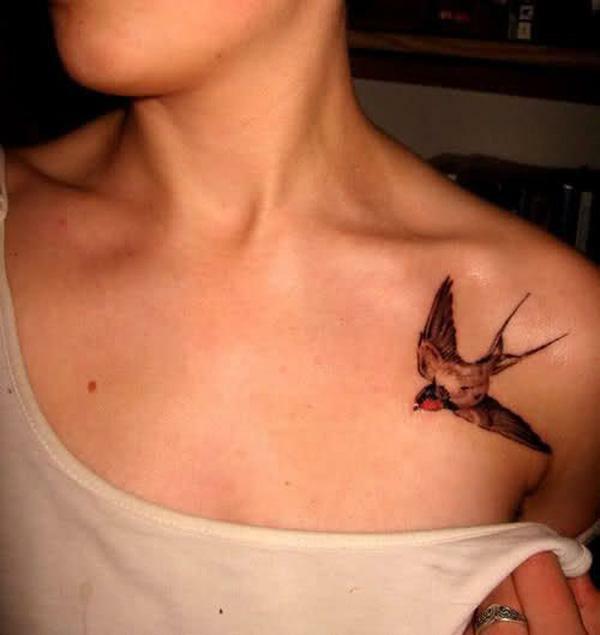 One of the most important considerations for tattoo lovers is where is the best place to get my tattoo. 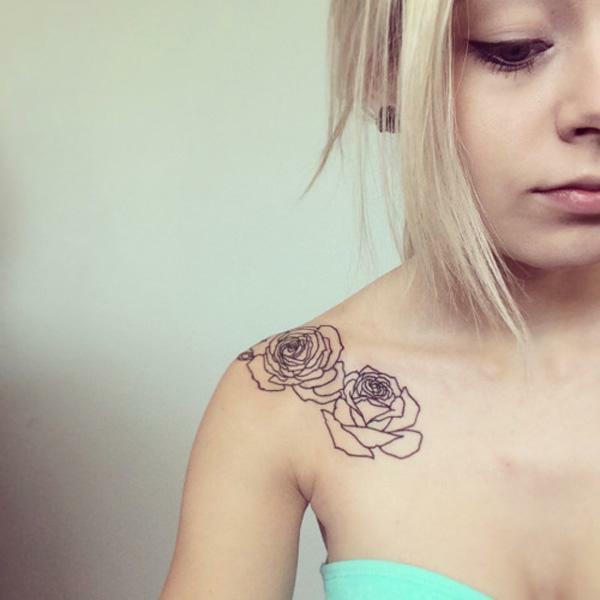 There are two factors when considering tattoo placement, visibility and level of plain to have the tattoo. 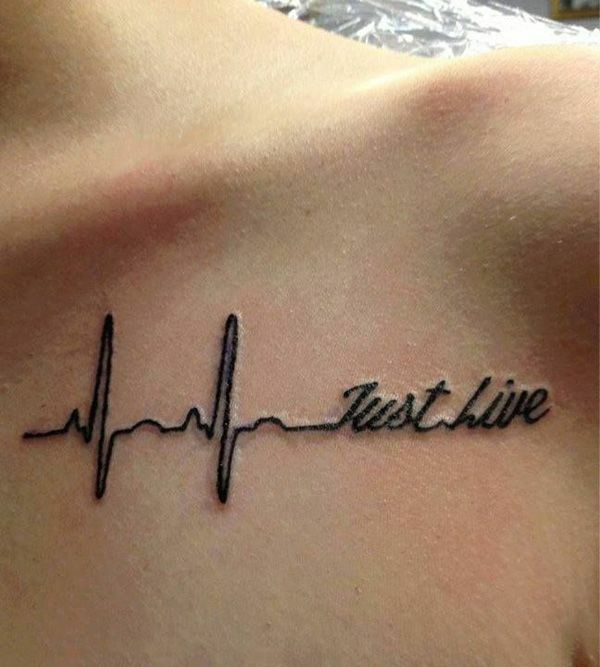 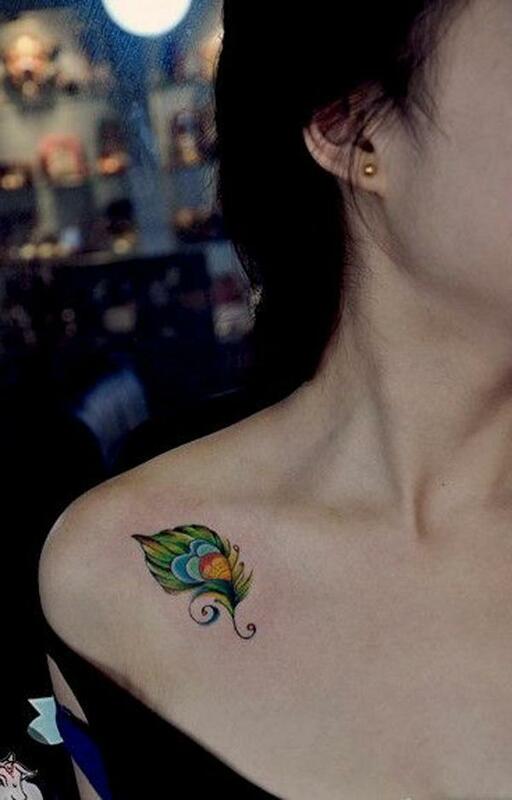 Some people have their first tattoo inked on the upper sleeve as it’s less painful and relatively visible. 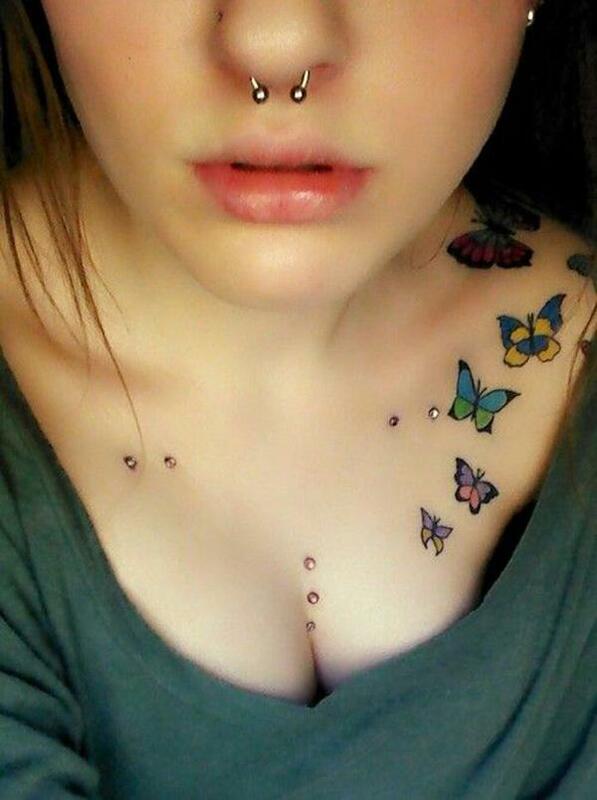 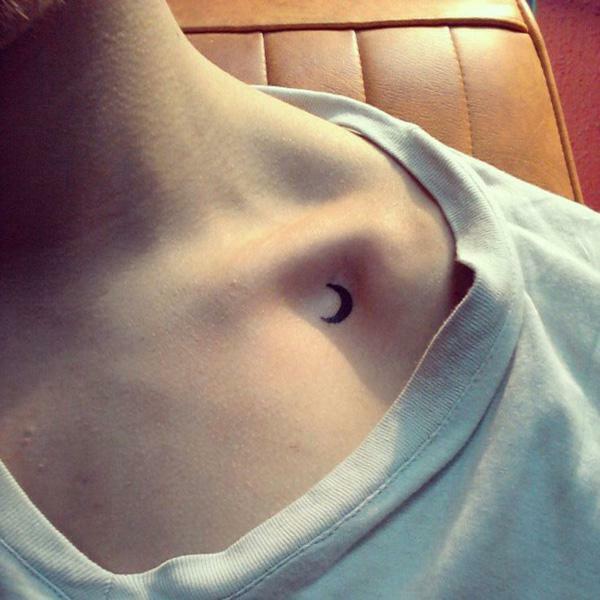 If you want to have your tattoo more visible, the area of clavicle is might be a good choice, esp. 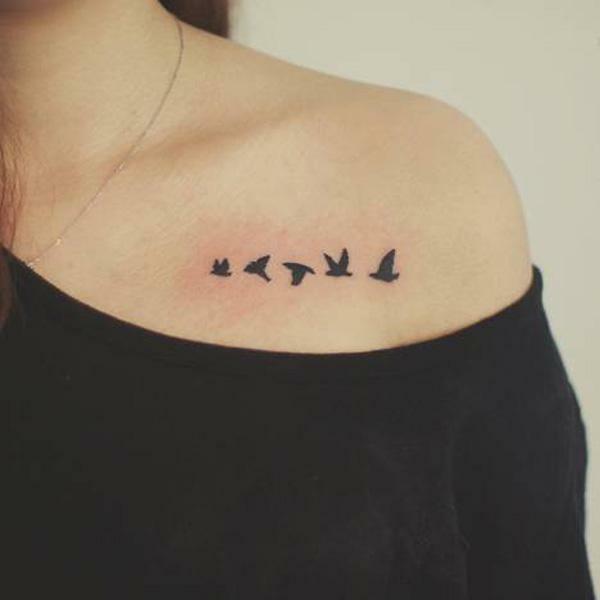 for women when ready to have a small and cute tattoo. 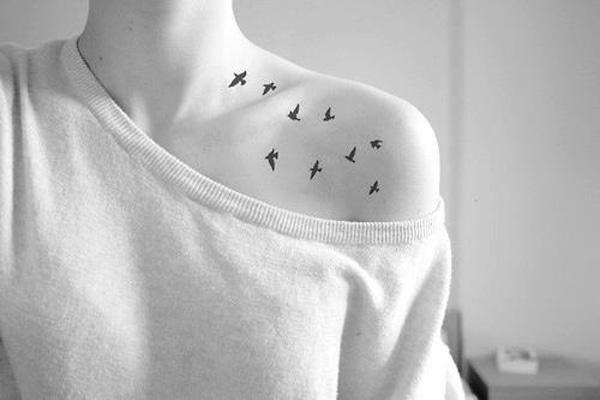 The Clavicle, aka collarbones, are two curved bones joining the breastbone to the shoulder blades, one on the left and one on the right. 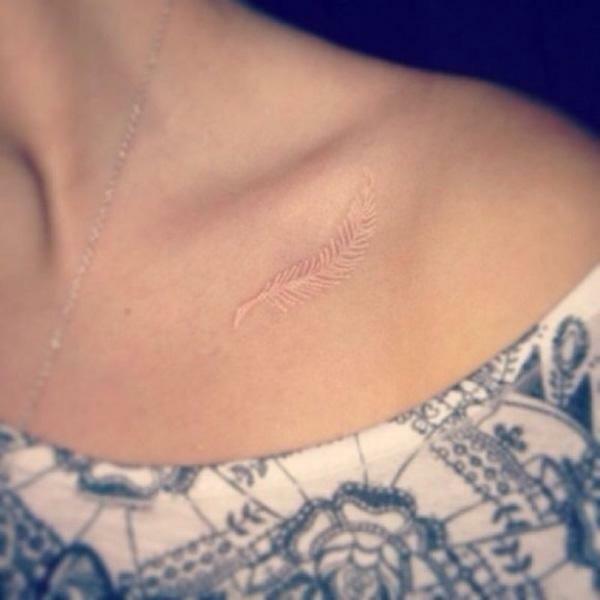 The clavicle is sensitive esp. 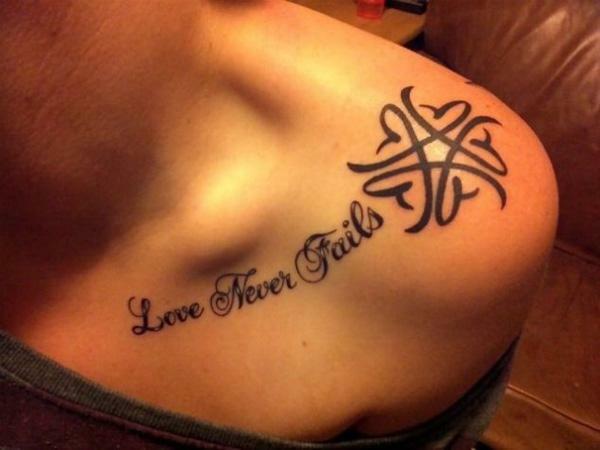 for those who have less fat because the bones are close to the surface of the skin, in addition to the presence of many nerves around the area. 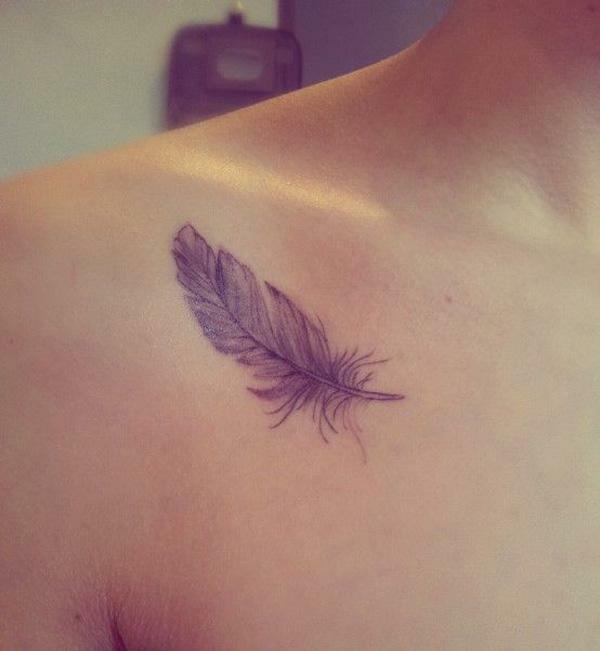 It’s one of the most painful place to have tattoo and tends to hurt more than fleshy areas. 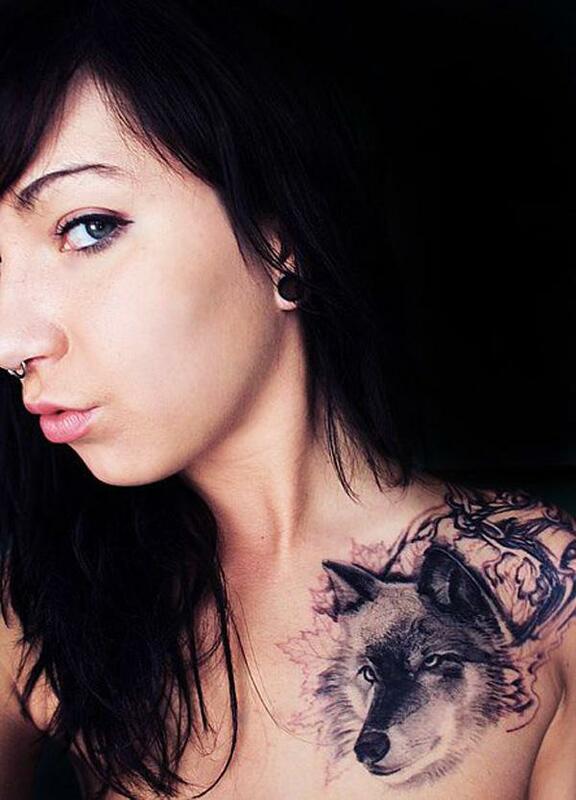 Despite the fact, a lot of women love to have their tattoos in the area either left or right of collarbone. 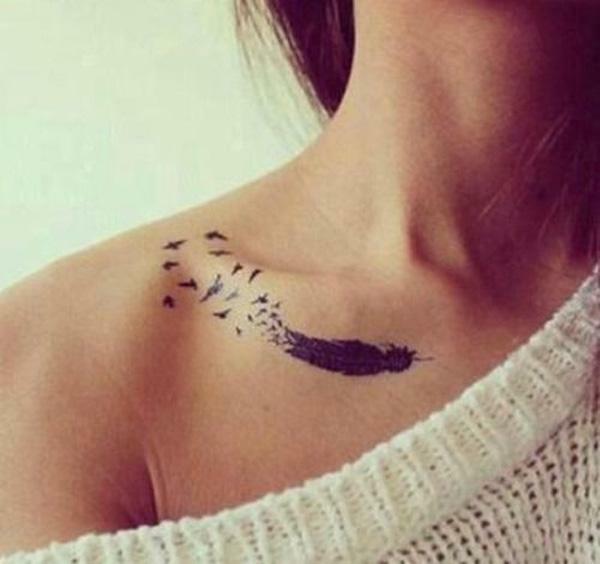 If you are infatuated with your body and just love to express yourself with a small tiny tattoo, collarbone is the choice. 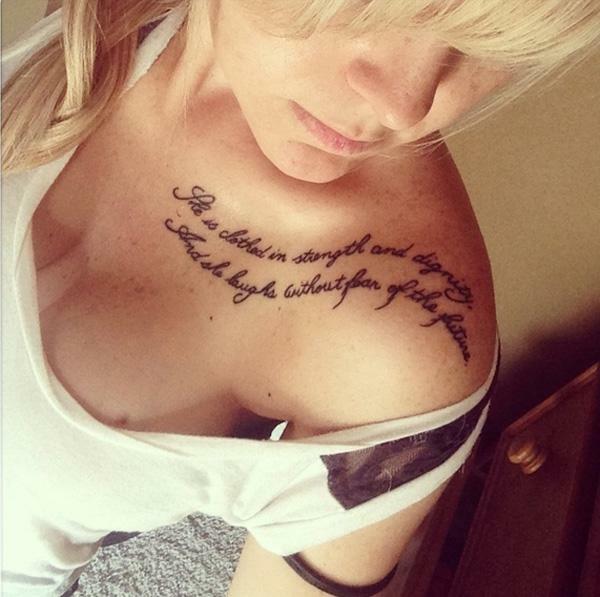 It’s palpable, easily noticed. 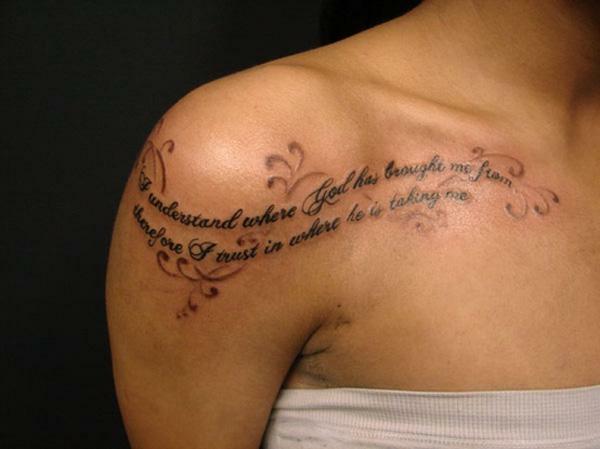 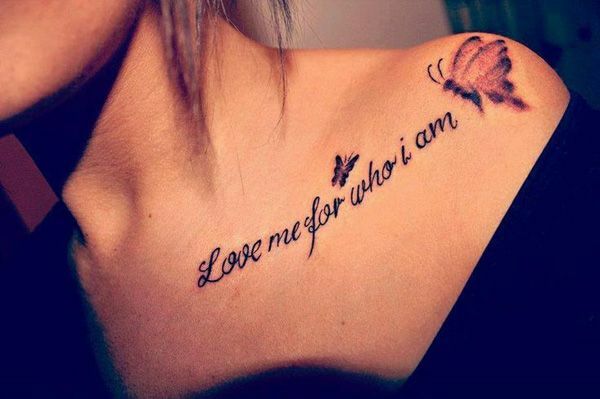 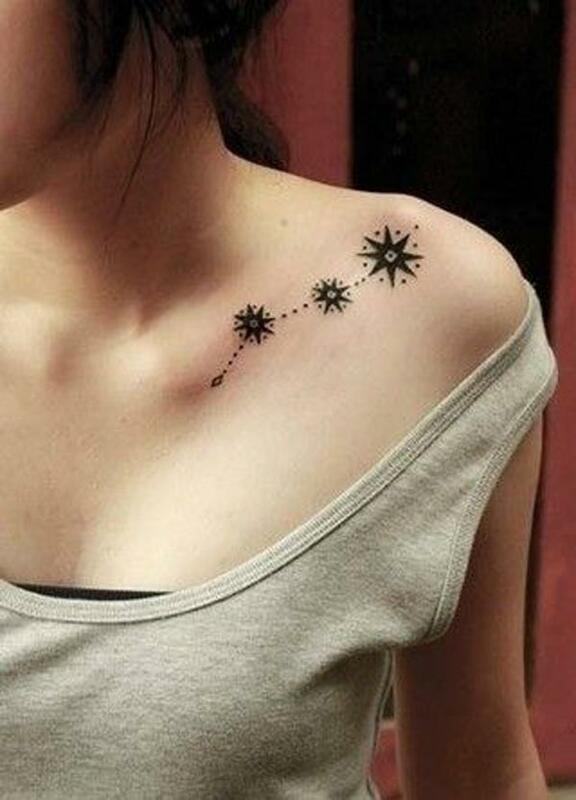 You have more chance to have the tattoo visible and there are plenty of small tattoo ideas coming from clavicle tattoos. 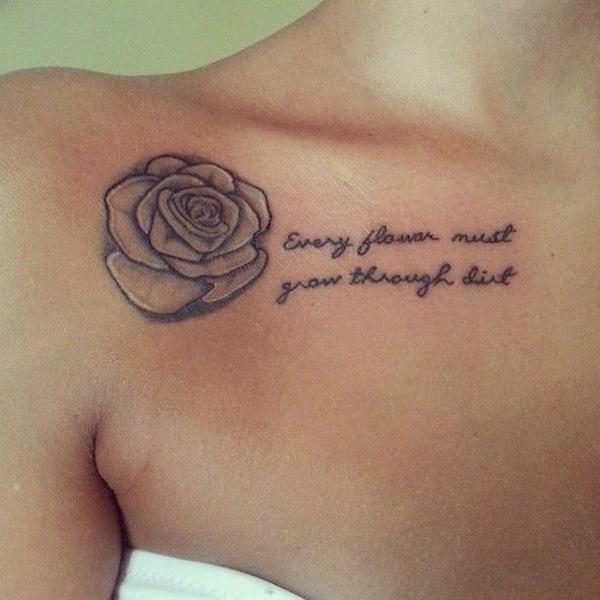 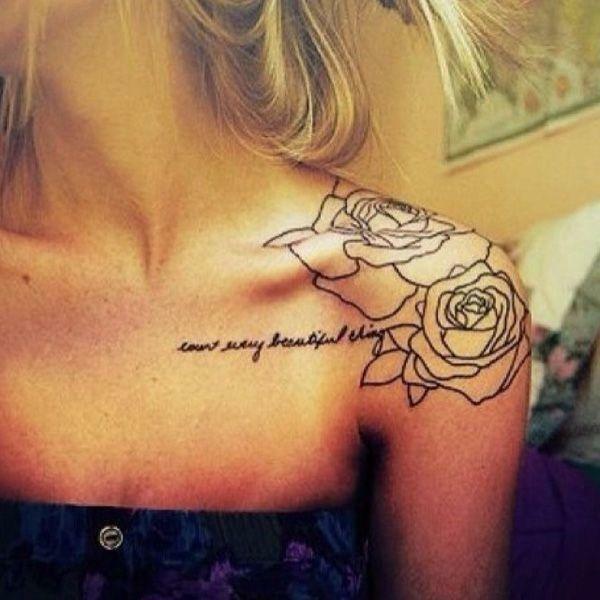 “count every beautiful thing” quote and rose sketch tattoo inked on the left of collarbone. 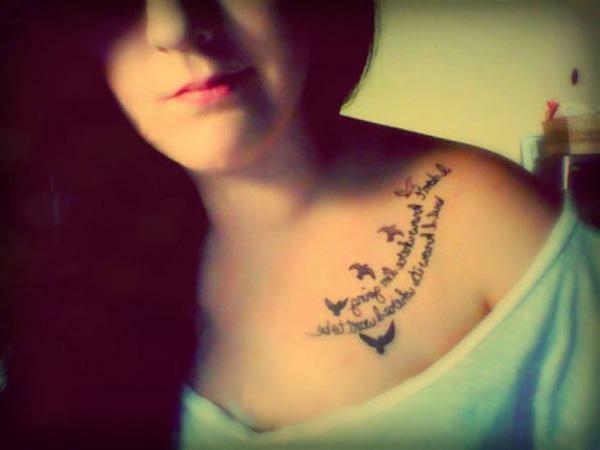 Let’s have a refresh of the quote by Jeff Mangum. 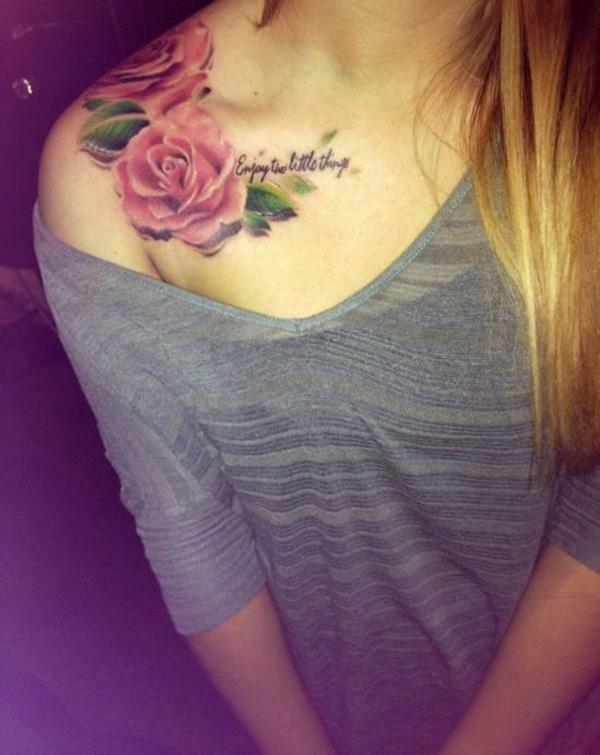 You are absolutely worthy to own the tattoo if you fins the beauty on it. 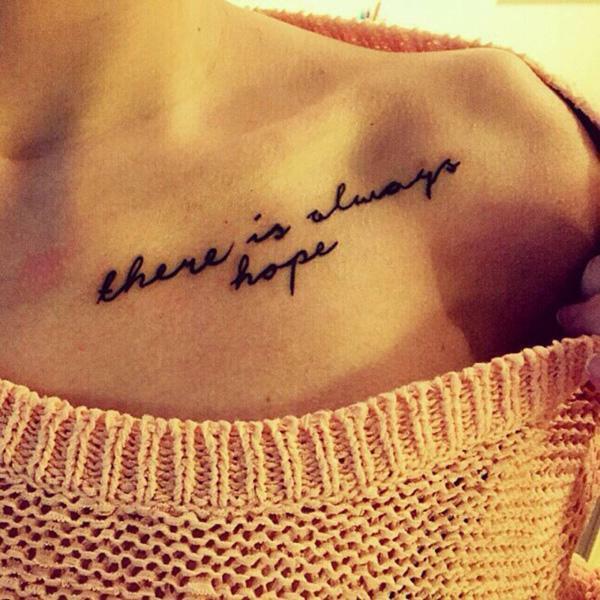 “There is always hope” – the cursive script tattoo is simple while meaningful. 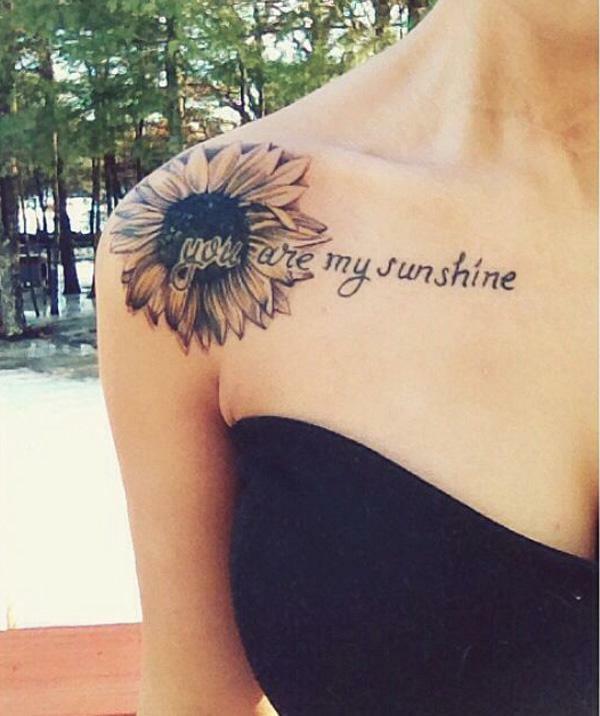 Sunflower tattoo with the script “You are my sunshine” – perfect placement for the sun flower with matching words. 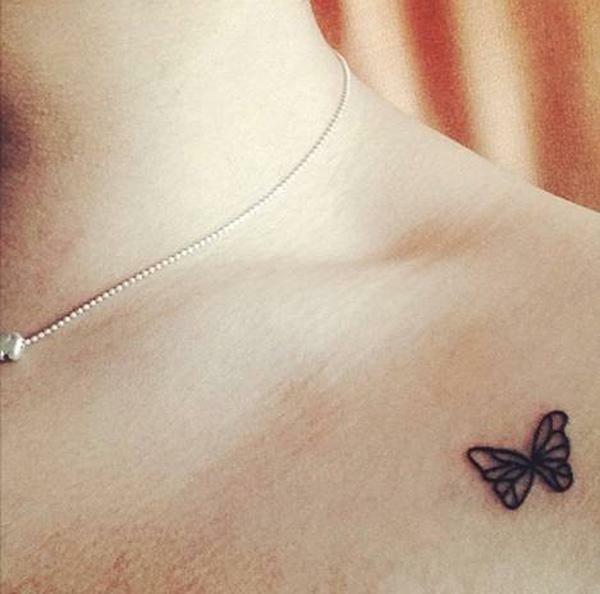 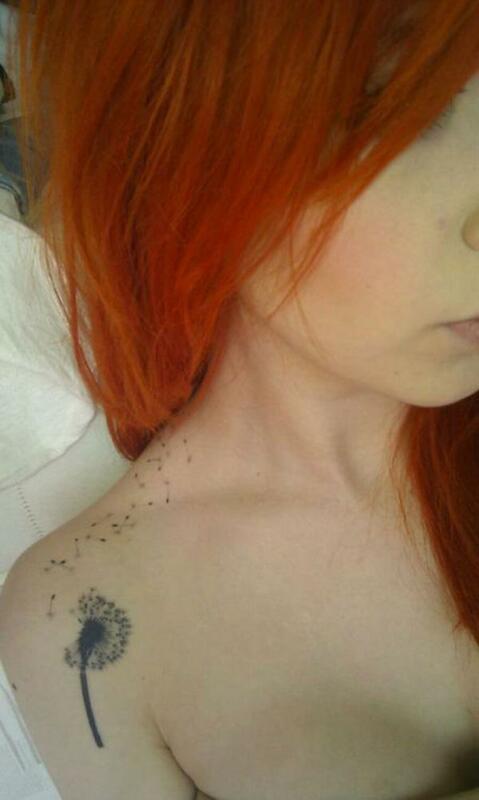 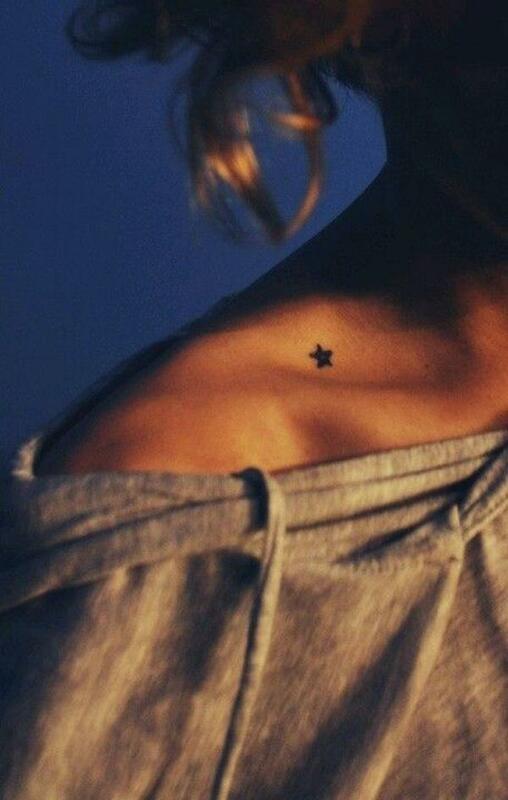 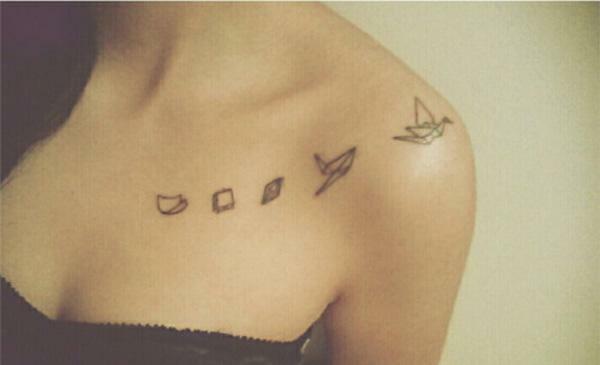 The tiny star tattoo on collarbone – It’s as simple as that. 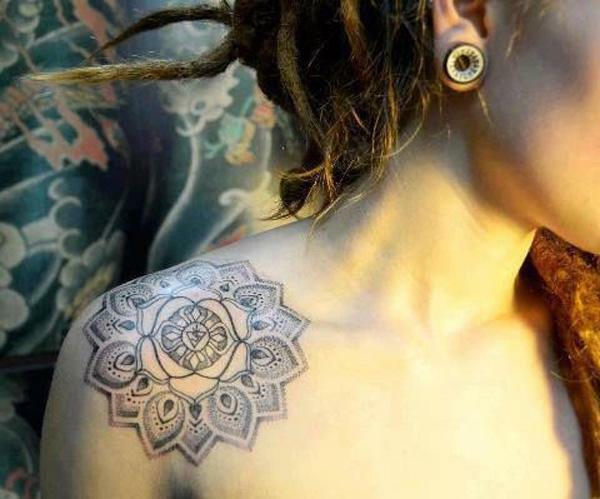 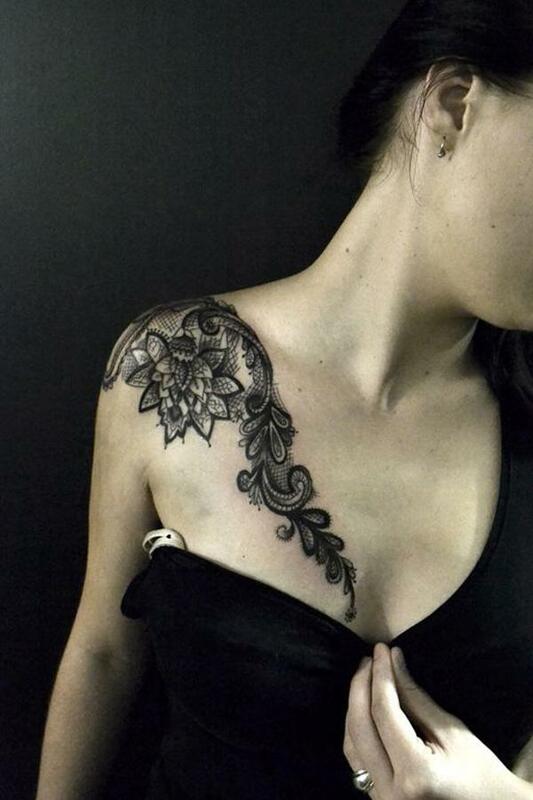 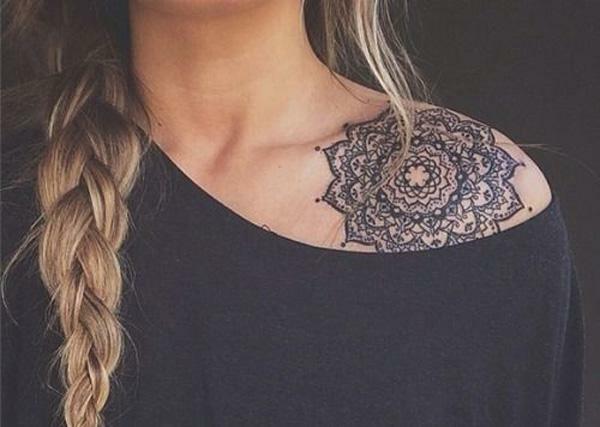 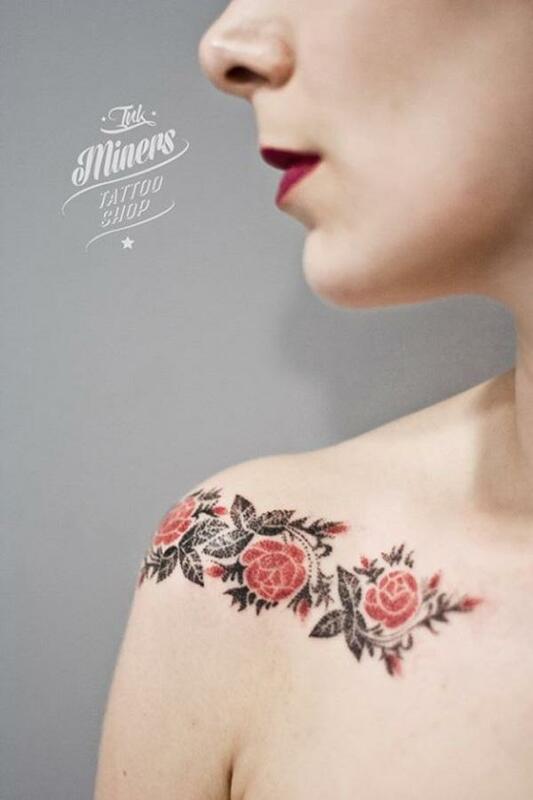 Beautiful rose tattoo covering from shoulder to collarbone. 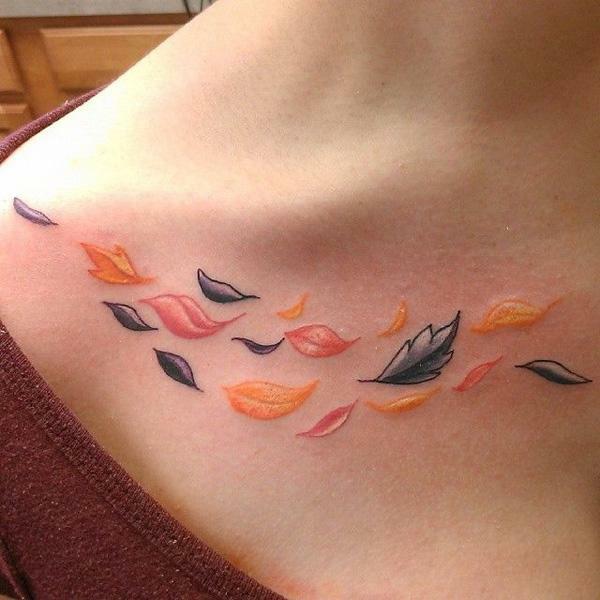 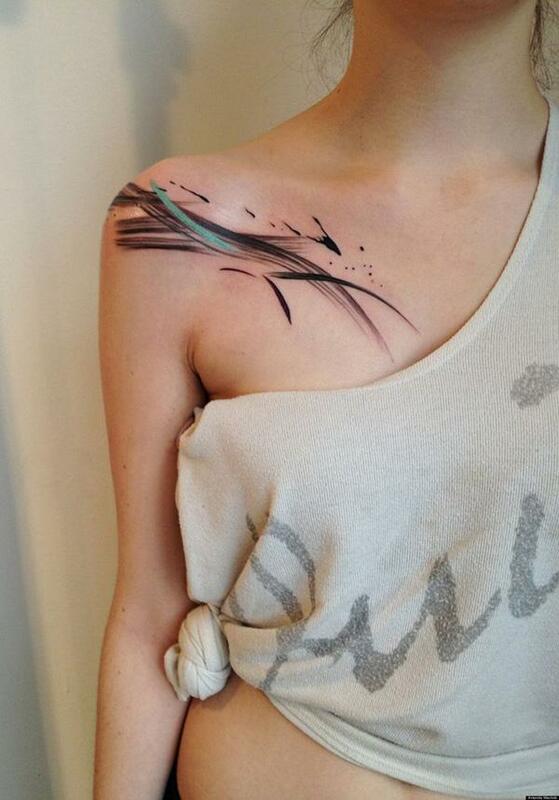 Abstract tattoo under the right clavicle.